Bijou Basin Ranch: Rhinebeck and Beyond! Are you having a hard time keeping up with us this month? October is shaping up to be our busiest month yet! 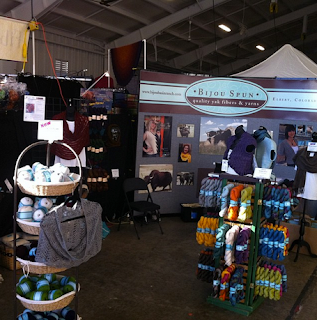 We just spent a fantastic weekend at the New York State Sheep & Wool Festival in Rhinebeck, NY, and our next stop will be the Southeastern Animal Fiber Fair (SAFF) in Fletcher, NC this coming weekend (October 25-27)! 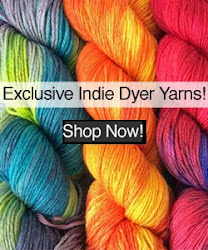 We'll be closing out our 2013 Fiber Festival circuit at the Interweave Knitting Lab in San Mateo, CA October 31-November 3, for those of you located on the west coast. We hope to see you there, but if you can't make it, we'll let you know when our 2014 Calendar is live on our site! In addition to traveling near and far, Carl Koop and Marly Bird were also recent guests on the Sweater Knitting Show, which is a daily live event happening each weekday throughout the month of October during the 30 Day Sweater Challenge. Click here to view an archived copy of Episode 15! If you still haven't had enough BBR in your life, you can check out the featured article from Knitsy Issue 4 - it's a fantastic (and free!) eMag available here in the itunes store. 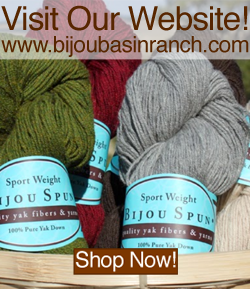 Not only will you get an inside look at the ranch, there is also a fabulous sock design (using our yarn, of course!) excerpted from The Art of Seamless Knitting, a fantastic new book by Faina Goberstein and Simona Merchant-Dest. 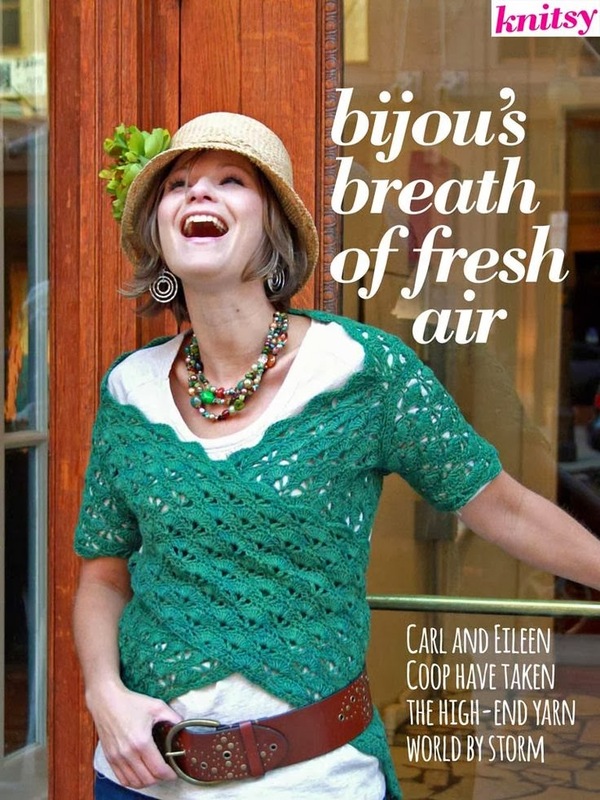 One of our beloved new patterns for Seraphim yarn, the Angelica Vest by Marly Bird, is currently available courtesy of our friends at AllFreeKnitting.com in a free eBook celebrating the Best of the Stitches Midwest Fashion show - click here to download your copy! 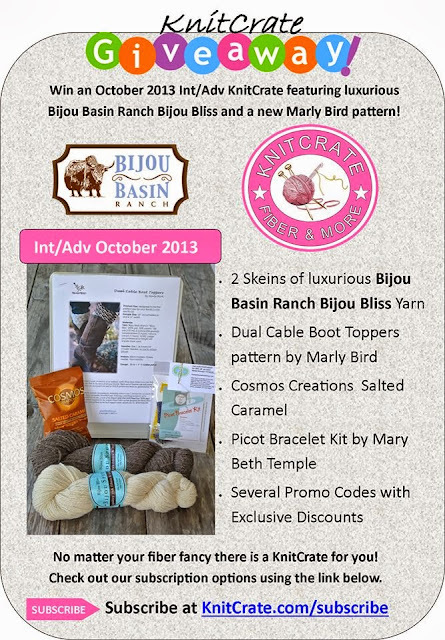 We are also excited to share the reveal for this month's KnitCrate exclusive which featured our yarn and a new pattern by Marly Bird. If you missed signing up for this month's KnitCrate, click here to find out how you can enter to win your very own package over on the KnitCrate Facebook fan page!